International Journal of Research in Health Sciences,2018,6,1,19-22. 1Professor and HOD, 2Associate Professor and 3Junior Resident, 4Assistant Professor Department of Respiratory Medicine, Indira Gandhi Government Medical College, Nagpur, INDIA. 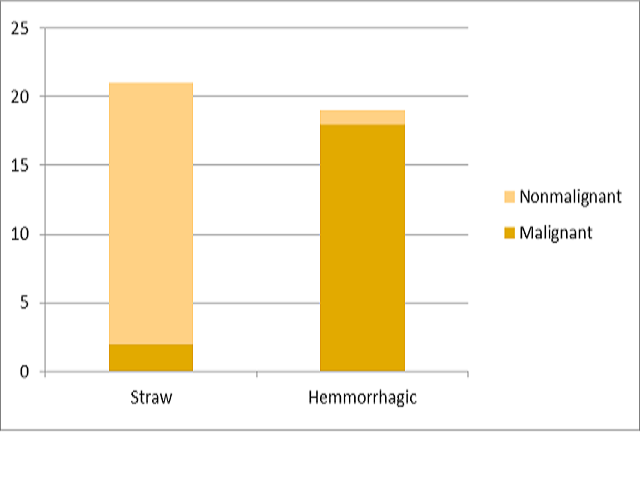 Showing Hemmorrhagic pleural effusion with low ADA value to be associated with Malignancy.